DUBAI: Technology prodigy Tanmay Bakshi, who will be a global speaker at the International Internal Audit Conference in Dubai in May 2018, said Dubai is an excellent Innovation Facilitator, with initiatives like the one to train a million coders, Dubai Expo 2020, and so much more. Bakshi, who was in Dubai as a speaker at the recent Government Summit, is all praises for Dubai’s technology initiatives. He is among more than 100 global speakers in over 70 sessions with more than 3,000 professionals from 110 countries attending the high profile global conference with the theme “Connecting the World Through Innovation,” organised by the Institute of Internal Auditors (IIA), along with the UAE Internal Auditors Association (IAA), at the Dubai International Convention and Exhibition Centre on May 6 to 9, 2018.
International Internal Audit Conference is sponsored by Protiviti (Diamond Sponsor), Dubai Customs (Gold Sponsor) and Grant Thornton, KPMG, RSM and Wolters Kluwer (Silver Sponsors). “This is to give a clear understanding of the cases in which AI is truly applicable. In order to demonstrate this, I will be talking about a few of my projects in the fields of security, cyber-security and auditing,” he said in the message. 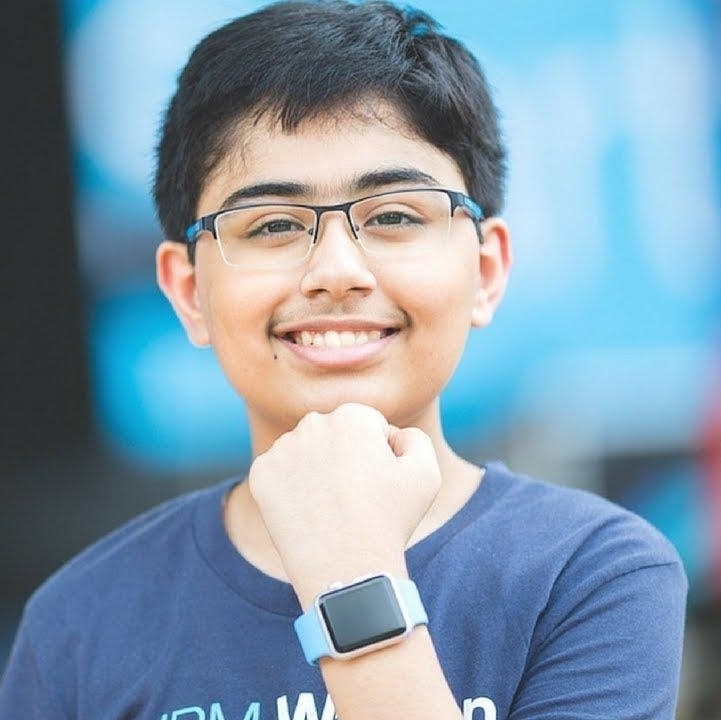 Tanmay Bakshi, 14, is an Artificial Intelligence developer, algorithm-ist, keynote speaker, author, and YouTuber. His passion for learning and sharing his knowledge drives him to teach subjects like programming, machine learning, AI, math, science, and IBM Watson. He tirelessly works to achieve his goal of inspiring and training 100,000 kids and novice developers to create their own solutions. The annual conference is considered the largest gathering of internal auditors in the world. Attendees will have access to a number of educational sessions on current and emerging issues and trends, ranging from business sustainability, information security, and governance to risk, fraud, and corruption. It will also present industry best practices in addressing common challenges, as well as knowledge-sharing opportunities. There are 7,000 members in the Middle East and almost half of them (3,000) are from the UAE. The UAE Internal Auditors Association (UAE IAA) was set up in July 1995, as a non-profit organisation along the lines of its parent body with the support and co-operation of the Emirates Group, the Economic Department, Dubai Chamber of Commerce, Al Futtaim, Emirates Bank and Dubai Aluminium Company (DUBAL). The Institute of Internal Auditors (IIA) is the internal audit profession’s most widely recognized advocate, educator, and provider of standards, guidance, and certifications. Established in 1941, the IIA today serves more than 190,000 members from more than 170 countries and territories.